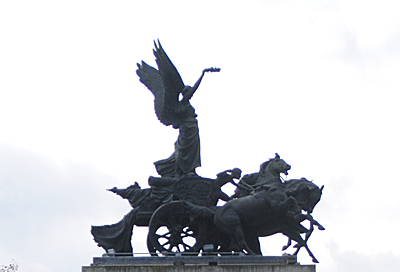 Known as ‘The Quadriga’, this bronze monument atop Wellington Arch at Hyde Park Corner depicts Nike, goddess of victory, in a four horse chariot. The work of English sculptor Adrian Jones, the quadriga was part of Decimus Burton’s original early 19th century design but it wasn’t until 1911-1912 that this colossal piece – once the largest bronze monument in Europe – was installed, replacing an equestrian statue of the Duke of Wellington which was moved to Aldershot (a smaller equestrian statue of the Duke now stands nearby). For more on the arch, see www.english-heritage.org.uk/visit/places/wellington-arch/. 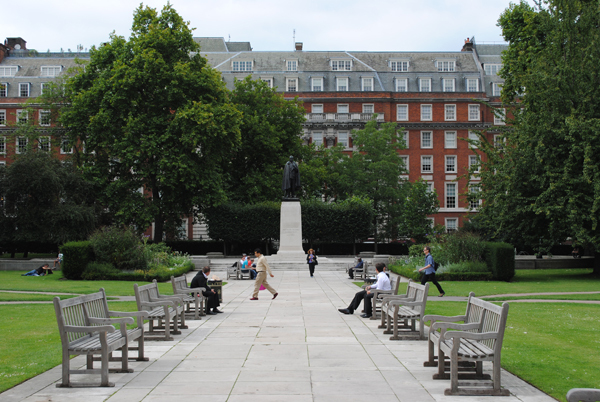 • The Duke of Wellington’s political and military career as well as his personal life is being explored in an exhibition running at the National Portrait Gallery off Trafalgar Square until August. Wellington: Triumphs, Politics and Passions features 59 portraits and other works including a rarely seen portrait of the Iron Duke painted by Sir Thomas Lawrence and commissioned by Sarah, Countess of Jersey, a year after Wellington had become Prime Minister. The portrait (pictured) remains unfinished – the state it was in when Lawrence died in 1830 – and, held in a private collection, hasn’t been shown in public for any significant period until now. The exhibition also includes a John Hoppner portrait of the duke as a young soldier, a daguerreotype taken by Antoine Claudet on Wellington’s 75th birthday in 1844 and drawings by Lawrence of Wellington’s wife, Kitty. 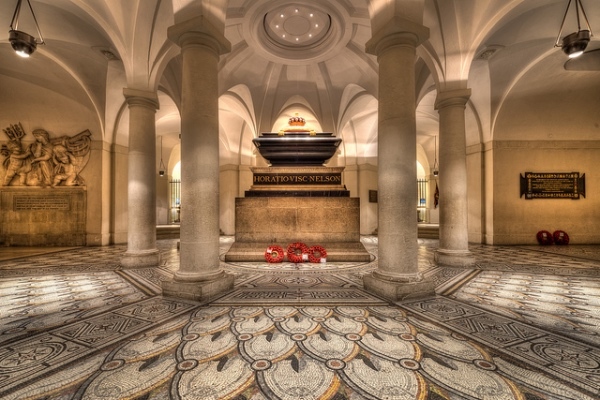 The exhibition – which is part of the commemorations marking 200 years since the Battle of Waterloo, runs until 7th June. Admission is free. For more see www.npg.org.uk. 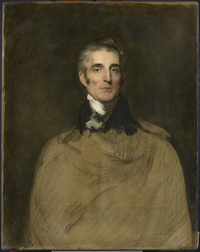 PICTURE: Arthur Wellesley, 1st Duke of Wellington by Sir Thomas Lawrence (1829), © On loan to National Portrait Gallery by kind permission of Mr. & Mrs. Timothy Clode. • On Now – Salt and Silver: Early Photography 1840-1860. This exhibition at Tate Britain in Millbank is the first major exhibition in Britain dedicated to salt prints, the earliest form of paper photography, and features 90 images including some of the best and rarest early photographs. The salt print technique was invented in Britain in the 1840s and 1850s and spread across the world, hence as well as portraits, still lifes and scenes from ‘modern life’, the images on show include from William Fox Talbot’s images of a Paris street to Nelson’s Column under construction, Linnaeus Tripe’s views of Puthu Mundapam in India and Auguste Salzmann’s studies of statues in Greece. Runs in the Linbury Galleries until 7th June. Admission charge applies. 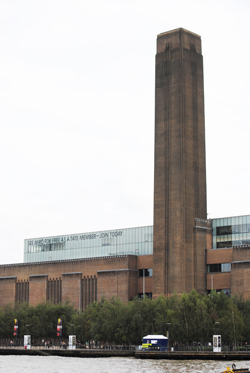 For more, see www.tate.org.uk. 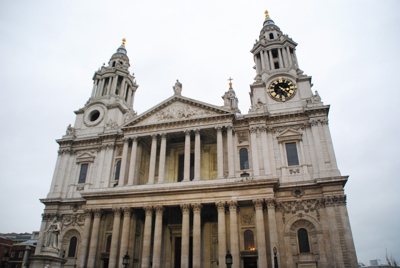 • Marking the 50th anniversary of the death of Winston Churchill, a new exhibition at the Science Museum in South Kensington looks at his passion for science and the influence that had on bringing World War II to an end. Churchill’s Scientists celebrates the individuals who flourished under Churchill’s patronage (and , as well as helping to bring about the end of World War II, also launched a post-war “science renaissance”) – from Robert Watson-Watt (inventor of radar) through to Bernard Lovell (creator of the world’s largest telescope) – and also delves into more personal stories of Churchill’s own fascination with science and tech. The display include objects from the museum’s collection as well as original archive film footage, letters and photographs. Highlights include the high speed camera built at Aldermaston to film the first microseconds of the detonation of the UK’s first home grown atomic bomb, the cigar Churchill was smoking when he heard news of his re-election as PM in 1951, and a one-piece green velvet “siren suit” designed by Churchill to wear during air raids (only one of three originals known to exist, it’s never been on public display outside of the tailors who created it). 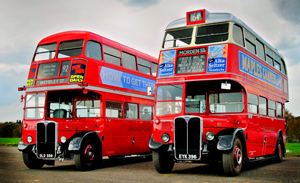 The free exhibition runs until 1st March and is part of the Churchill 2015 programme of events. Visit www.sciencemuseum.org.uk/churchill for more. 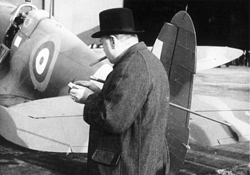 PICTURE: Churchill with a Spitfire from Castle Bromwich (Philip Insley, CBAF Archive Vickers ArchiveSyndics). 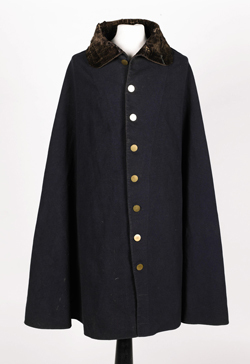 • The National Army Museum and Waterloo2oo have launched an online gallery which will eventually comprise images and information on more than 200 artefacts associated with the Battle of Waterloo ahead of the 200th anniversary in June. Among the objects featured on Waterloo200.org are the Duke of Wellington’s boots, a French eagle standard captured in battle and the saw used to amputate the Earl of Uxbridge’s leg. 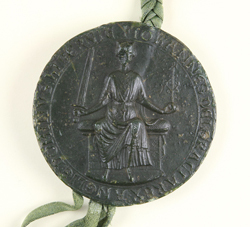 One hundred items – drawn from the Army Museum’s collection as well as from European museums and private collections – can already be seen on the site with a further 100 to be added before the bicentenary on 18th June. • The Talk: Death in Disguise: The Amazing True Story of the Chelsea Murders. 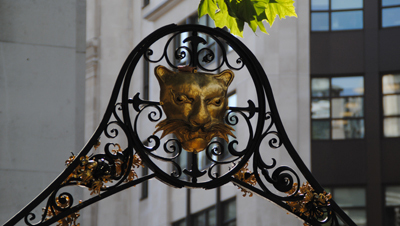 On 12th February, the Guildhall Library in the City of London will host Gary Powell as he examines the facts of this double murder which took place in Chelsea in May, 1870, and left Victorian society reeling. For more events at the library, follow this link. • On Now: Breakthrough: Crossrail’s tunnelling story. This exhibition at the London Transport Museum in Covent Garden brings a new perspective on the massive Crossrail project currently underway in the city. Visitors will experience the tunnel environment through a five metre high walk-through installation featuring a computer simulation of a giant boring machine as well as learn about how the project is shaping up, play interactive tunnelling games and hear firsthand from those who work underground. Admission charge for adults applies. Runs until August. For more, see www.ltmuseum.co.uk. • Extended: Astronomy Photographer of the Year Exhibition. This exhibition at the Royal Observatory Greenwich features the winning images from last year’s competition. They include the Briton James Woodend’s image of a vivid green aurora in the Icelandic night sky; American Patrick Cullis’ view of earth taken from 87,000 feet above ground; and, New Zealander Chris Murphy’s image of dusty clouds dancing across the Milky Way. The exhibition can be seen for free in the Observatory’s Astronomy Centre until 19th July. For more, see www.rmg.co.uk/astrophoto. 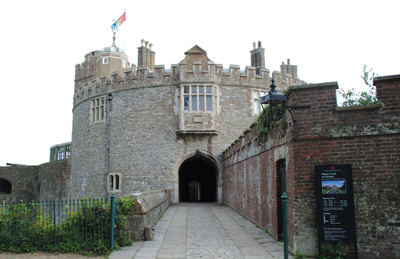 A coastal artillery fort built on the orders of King Henry VIII in light of a threatened Catholic invasion, Walmer Castle on the Kentish coast is officially the residence of the Lord Warden of the Cinque Ports. 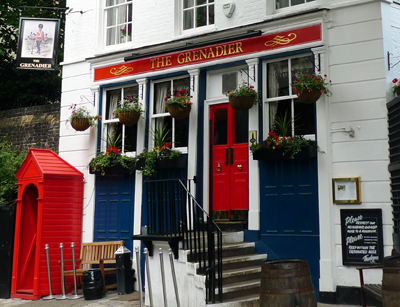 What was a rather functional artillery platform has been embellished significantly in the years since it became the official residence of the Lord Warden in 1708, creating a comfortable home for holders of the title who have included Queen Elizabeth, the Queen Mother, the Duke of Wellington and bookseller WH Smith. The ‘castle’, located about a two hour, 10 minute train journey from London (and then a mile walk from Walmer Station), was constructed in 1539 as one of a string of forts – others include nearby Deal Castle and the long gone Sandown Castle – designed to protect the watery stretch between Goodwin Sands and the coast known as the Downs. Its low circular design, featuring a central ‘keep’ reached by a drawbridge and surrounded by a curtain wall with four projecting, semi-circular bastions, was influenced by the need to defend against heavy artillery and provide a platform for guns. 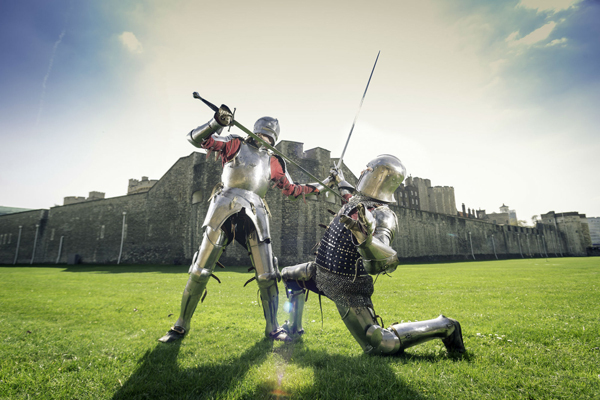 Initially garrisoned with ten gunners, four soldiers and two porters under the command of a captain and a lieutenant, Walmer saw little action during Tudor times but was the site of a siege during the Civil War. Obsolete by the end of the 17th century, it was the Duke of Dorset who was the first Lord Warden (an office created in the thirteenth century to oversee the affairs of the Cinque Ports Confederation, a grouping of five ports including Hastings, Romney, Hythe, Dover and Sandwich) to use Walmer Castle as a residence, embarking on a renovation and extension of the existing structure. Further alterations was carried out by successive Lords Warden, the most extensive being those made by the 2nd Earl Granville, Lord Warden between 1865 and 1891, who commissioned architect George Devey to oversee the additions. The gardens, meanwhile, which are well worth visiting in their own right, were also Granville’s work as well as that of an earlier Lord Warden, Prime Minister William Pitt the Younger, who was Lord Warden between 1792 and 1806. The Duke of Wellington (Lord Warden between 1829 and 1852) reputedly enjoyed his time staying at the castle – he was even visited by the young Princess Victoria here in 1835 (she later stayed for a month with her family when Queen) and died here on 14th September 1852. 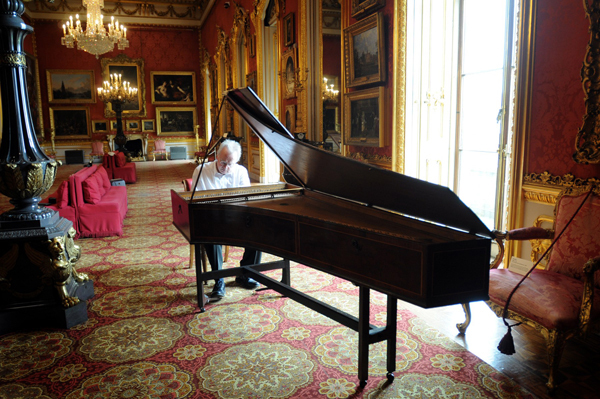 His room can still be seen inside – the contents include the armchair he was sitting in when he died (the rooms also include a small museum dedicated to Wellington and another dedicated to William Pitt). Not all Lords Warden enjoyed the property. 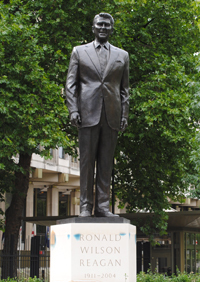 Sir Winston Churchill, Lord Warden between 1941 and 1965, never stayed here but Sir Robert Menzies, Prime Minister of Australia and Lord Warden between 1966 and 1978, did and the Queen Mother, Lord Warden between 1978 and 2002, was a regular visitor. The castle was opened to the public soon after responsibility for it was transferred from the War Office to the Ministry of Works in 1905. It is now under the care of English Heritage and the rooms inside are decorated as they were in the 1930s (it was WH Smith who ensured historic furnishings at Walmer could not be removed). There are even a couple of holiday cottages on site which can now be rented. WHERE: Walmer Castle, Kingsdown Road, Deal, Kent; WHEN: 10am to 6pm daily (until 6th July); COST: Adults £7.90/Children (5-15 years) £4.70/Concession £7.10; WEBSITE: www.english-heritage.org.uk/daysout/properties/walmer-castle-and-gardens/. 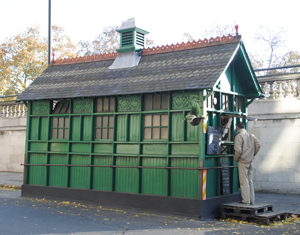 • There’s a working drawbridge at the Tower of London, something not seen at the fortress since the 1970s. The bridge, which would have originally spanned a water-filled moat, was created in 1834 to allow munitions to be brought into the basement level of the White Tower from the wharf (the moat was drained in 1843 on the orders of the then-Constable, the Duke of Wellington). The bridge has been altered many times but the last time it was completely replaced was in 1915 while the tradition of raising it was carried on until the 1970s before it was permanently fixed in 1978. The new bridge draws on historic designs from 1914 and has been constructed of steel and English oak. It will be raised and lowered on “high days” and holidays and for educational purposes. For more, see www.hrp.org.uk/TowerOfLondon/. • The Churchill War Rooms – a complex of underground rooms from where then PM Winston Churchill and others directed the course of Allied troops during World War II – is celebrating the 30th anniversary of its public opening with a new displaying showcasing never before seen objects related to its creation as a tourist attraction. The objects include a private admissions ticket from the days when the only way inside was via specially granted permission, correspondence about the fate of the War Rooms and a poster from 1984 advertising the opening of the Cabinet War Rooms to the public. Admission charge applies. For more, see www.iwm.org.uk/visits/churchill-war-rooms. • On Now: John Pantlin: photographing the mid-century home. This free exhibition at the Geffrye Museum in Shoreditch celebrates the work of Pantlin who is noted for his extensive work for the architectural press in the 1950s and 1960s. The small exhibition focuses on his shots of domestic interiors with shots of sun-filled living rooms and bedrooms filled with toys with all images drawn from the Robert Elwall Photographs Collection. Runs until 29th June. For more, see www.geffrye-museum.org.uk.